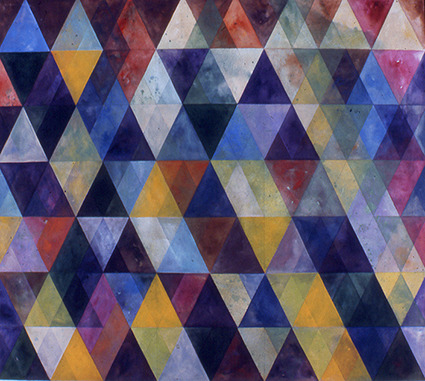 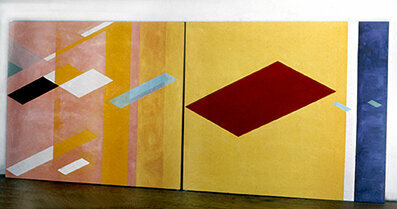 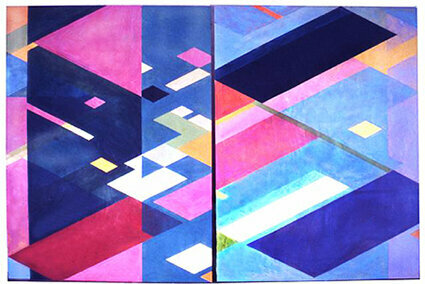 A diagonal pencil grid system that served as the base for her geometric abstractions. 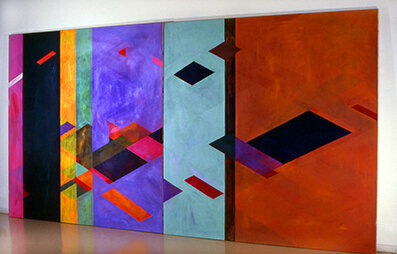 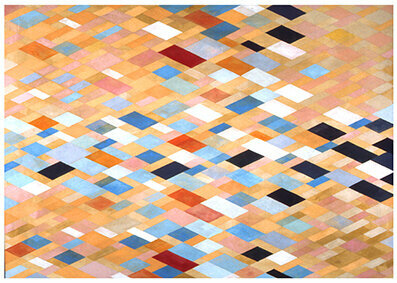 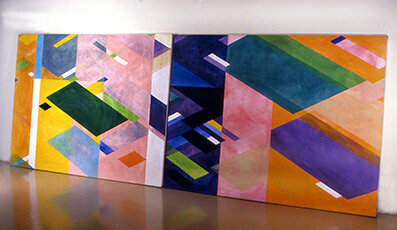 Using layers of overlapping shimmering color woven into her grid she created numerous large scale paintings. 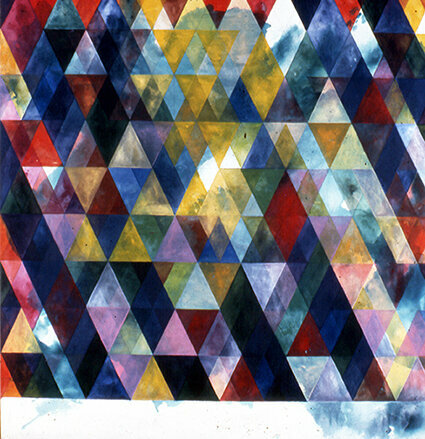 This work was exhibited in the Whitney Biennial, other museums and galleries.